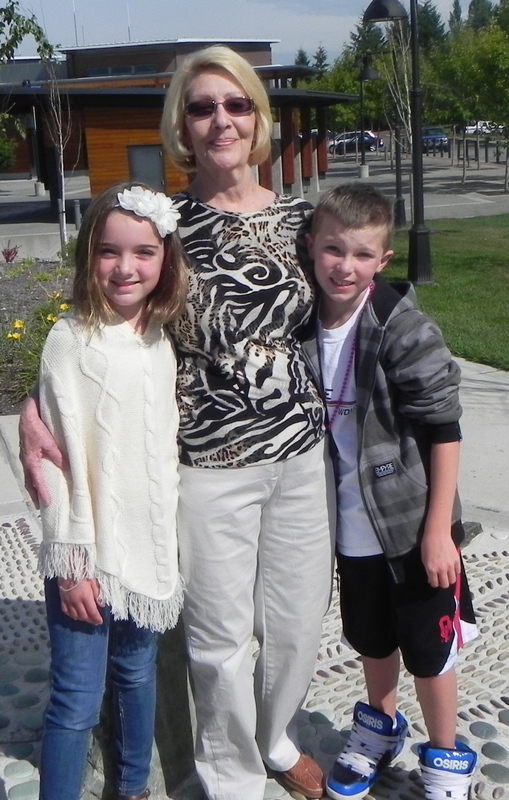 My Mother in Law with my kids. This is going to make me sound horrible, and truthfully- it’s because my actions were horrible. But, I have learned a valuable lesson and promise to improve. I’ve been married for 15 years- and for those 15 years I have not treated my mother in law with the love and respect she deserves. I can’t explain why- except that I was a selfish and immature young women who heard all her friends grumble about their mother in laws- and so I (stupidly) thought that’s what people did. To be fair, I never did anything outright mean to her. I just didn’t make much effort in our relationship. I spoke badly behind her back and I got frustrated easily. She lives thousands of miles away, I only see her once a year and since my husband doesn’t make much effort (more on that later*), I didn’t either. I know- it’s horrible. But I swear, I’ve leaned a lesson. Being in this business has taught me so much about families. And love. And mother in laws. I’ve learned that as we age- we become reliant on our families to help us, to love us and to care for us. As we age friends come and go, but one thing that remains constant is family. At Capability Homecare we’ve seen amazing relationships between daughters in law and their spouse’s parents. I’ve seen beautiful acts of kindness, generosity and love- that have inspired me to change. This past week my mother in law has been in town visiting. I have set aside all past issues and just treated her with love. As my yoga studies have taught- if my intention is love- then amazing things can happen. This week my intention has been love. Instead of getting frustrated because she can’t remember things, or angry that she threw my dry cleaning into the dryer, or upset because she kept my daughter up an hour past her bedtime- I am ignoring all the things that would have bothered me in the past- and instead am focusing on who this person is. She is the woman that raised my husband. She is a woman who lost her husband to cancer at age 45. She is a woman who despite her fragile hips gets down on the floor and makes a fort with my kids. This is a woman who deserves my respect, my admiration and my love. And when -or if- the day comes that she needs more help- I will gladly make the sacrifices necessary to help her. *I say my husband doesn’t make much effort- and I feel I need to have a little disclaimer. He does make a small effort- but even he could improve. As a small business owner and a parent, we have let our priorities slip. Also- to be fair- the more families we work with- the more we see the daughter (or daughter in law) handling all the care or the arrangements for care. The sons are mostly absent. Thanks! It isn’t perfect, but I think it is a lot easier to read and to navigate.